Galway Bay FM in Loughrea in Association with Lightnet! Home / Lightnet News / Galway Bay FM in Loughrea in Association with Lightnet! 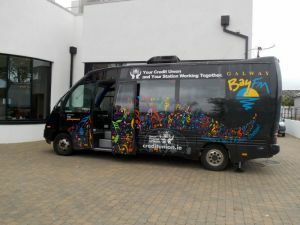 We are delighted to announce the Galway Bay FM​ BayCaster will be in Loughrea Town tomorrow Thursday October 12th in association with Lightnet​. Come on down from 12-5pm to check out our latest offers and win some really cool prizes! Listen in to Galway Bay FM throughout the day also to be in with a chance to win!